New from A.S. Creation comes this fantastic Tropical Leaf wallpaper. 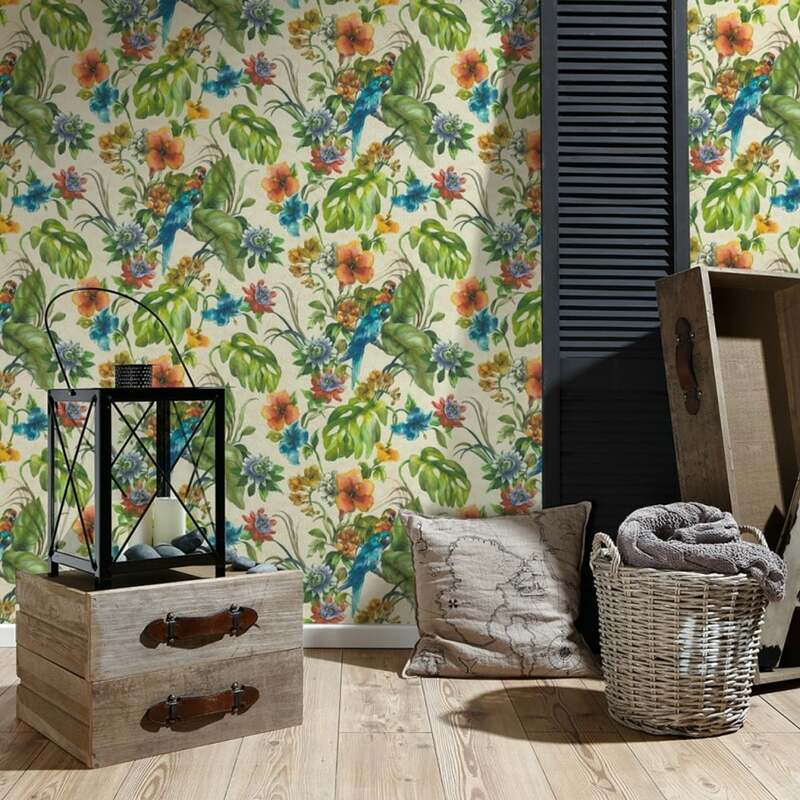 This superb modern wallpaper features a vibrant tropical leaf pattern, with blooming flowers and colourful parrots, and is set on embossed blown vinyl.